At 9:11 p.m., units from several local fire departments are responding to a report of a semi on fire in the southbound lanes of I-94 in about the 7500 block (Highway 50) in Kenosha. Responding are Bristol, Salem, Pleasant Prairie, Kenosha and Paris fire departments. 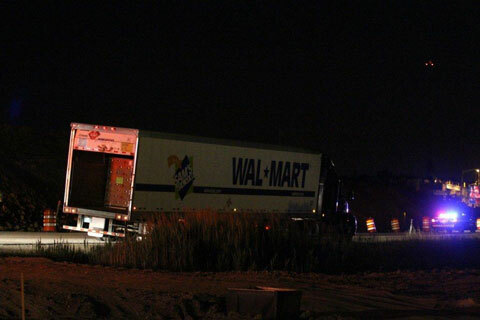 Dispatch says semi was hauling gas canisters with gas inside. Some flames still visible. Driver tried to extinguish, but was unsuccessful. UPDATE 9:23 p.m. — Driver reportedly has put out fire on tires. Exit ramp for Highway 50 from southbound I-94 now being shut down. Salem units holding in quarters.